The Impressive Regatta Hotel, Jakarta, was designed by Atelier Enam. 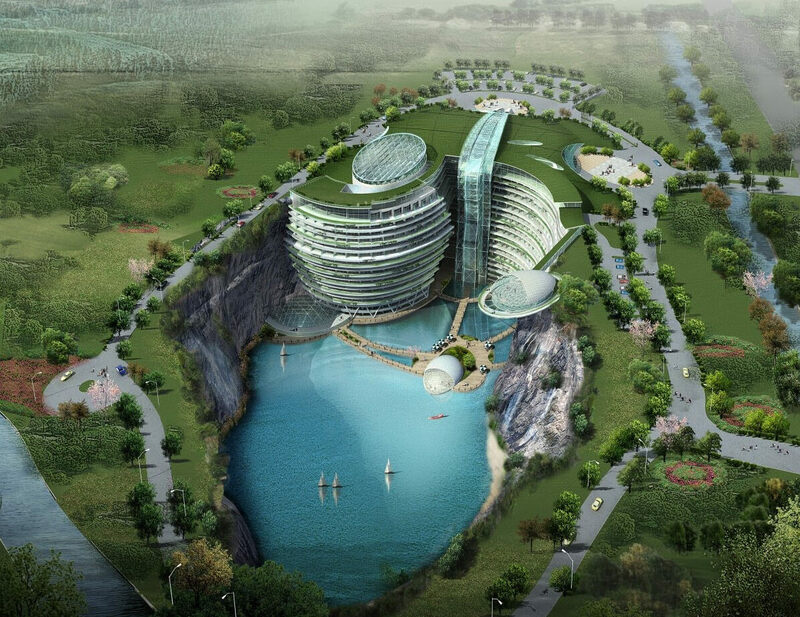 Based on the nautical theme, where the centerpiece is an aerodynamically shaped hotel, bound to be one of the most striking landscape features overlooking the Java Sea. Burj Khalifa is a skyscraper in Dubai, United Arab Emirates. 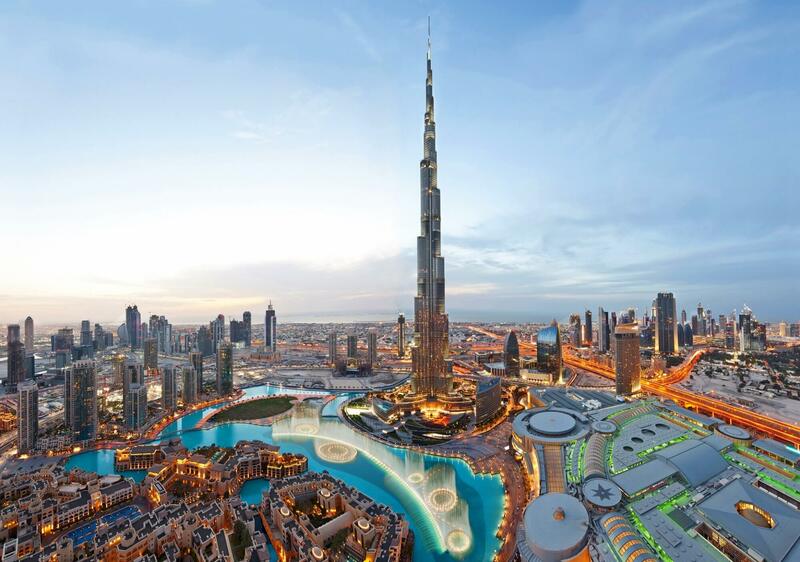 It is the tallest man-made structure in the world, at 2,722 ft. Burj Khalifa was designed to be the centerpiece of a large-scale, mixed-use development that would include 30,000 homes, nine hotels, 3 hectares of parkland, at least 19 residential towers, the Dubai Mall, and the 12-hectare man-made Burj Khalifa Lake. Mecca Royal Hotel Clock Tower, is a building complex in Mecca, Saudi Arabia. These towers are a part of the King Abdulaziz Endowment Project that strives to modernize the holy city in catering to the pilgrims. The complex holds several world records, such as the tallest hotel in the world, the tallest clock tower in the world, the world’s largest clock face and the building with the world’s largest floor area. The complex’s hotel tower became the second tallest building in the world in 2012, surpassed only by Dubai’s Burj Khalifa. 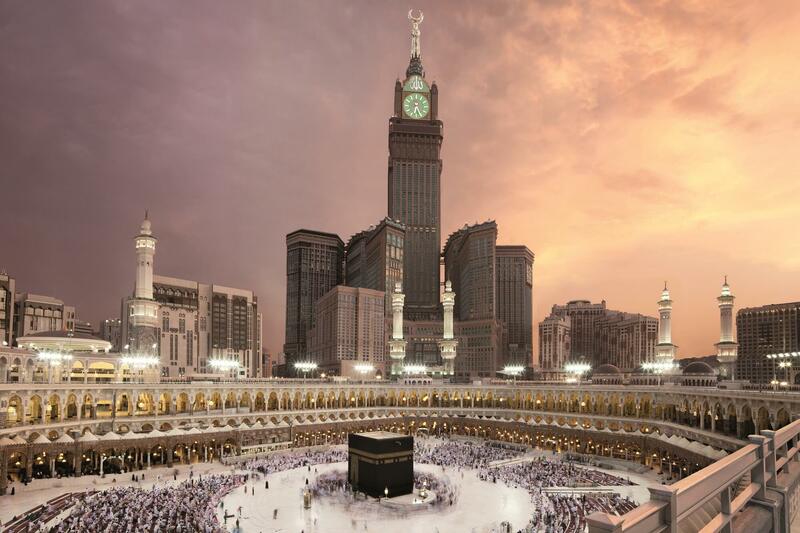 The building complex is meters away from the world’s largest mosque and Islam’s most sacred site, the Masjid al Haram. The complex will be able to house 100,000 people and span over 2,171 feet. 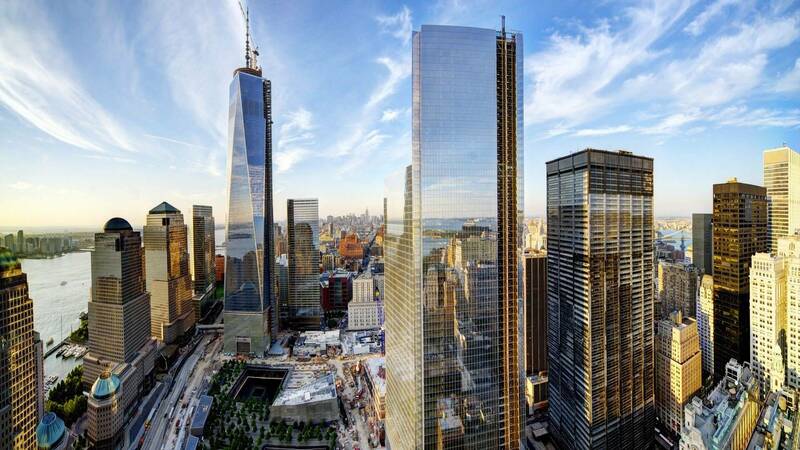 One World Trade Center is the lead building of the new World Trade Center complex Located in Lower Manhattan, New York City, at the same location as the September 11, 2001 attacks destroyed former World Trade Center. The Construction was started on April 27, 2006 and completed in 2013. The 104-story skyscraper will be the tallest building in the Western Hemisphere and the third-tallest building in the world. The building occupying 16-acre and will stand 1,776 feet high. 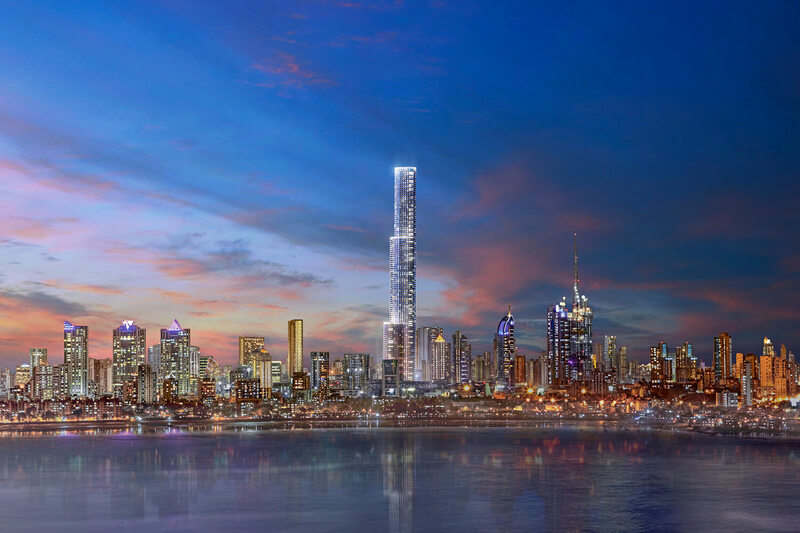 World One is a residential skyscraper under construction in Mumbai India is set to be complete in 2018. Once complete it will be the tallest residential skyscraper in the world. The project will cost $399 million to build and will span over 1,450-feet having 117 floors, 18 elevators, 300 apartments. 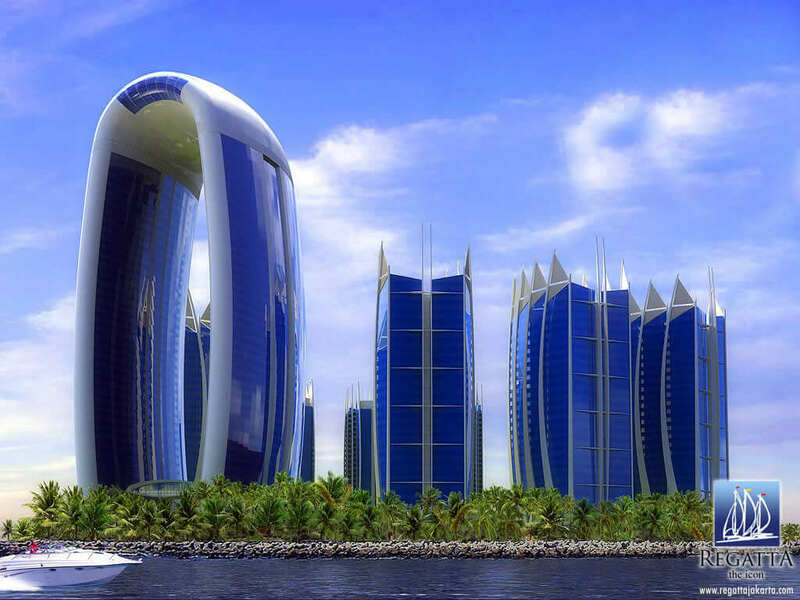 One of India’s top builders, the Lodha group, is undertaking the construction of this project. Shanghai Tower is a super-tall skyscraper in the Pudong district of Shanghai, China. 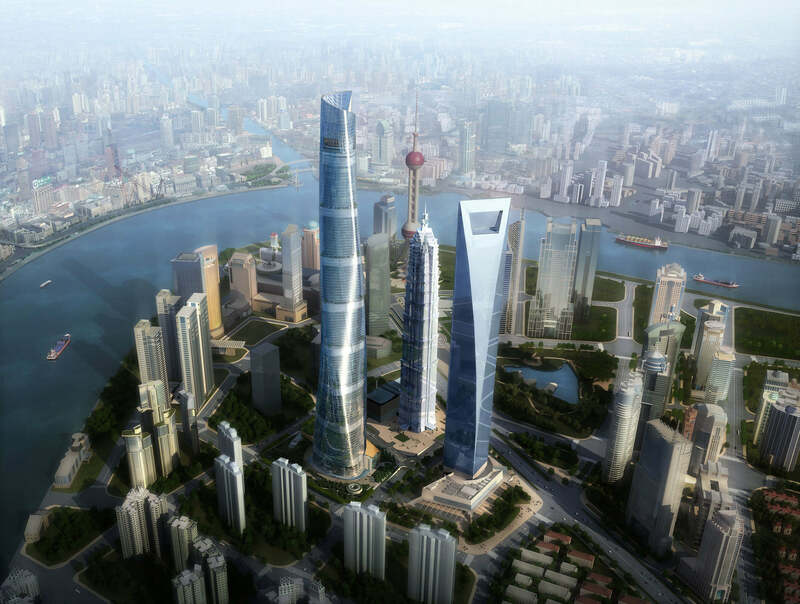 The tower will be 128 stories, and span over 2073 ft. As of 2015, the Shanghai Tower is the tallest building in China, and the 2nd-tallest in the world building by height to architectural top, surpassed by the Burj Khalifa. It is the world’s third-tallest structure (behind Tokyo Skytree, 634 m). 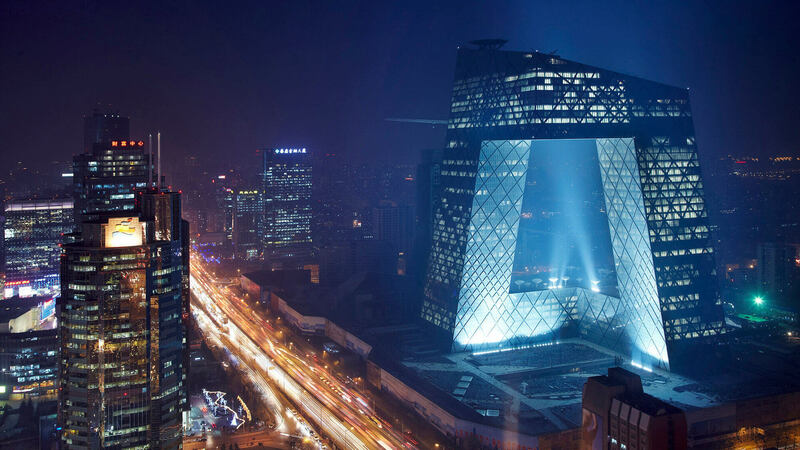 The project cost $2.2 Billion and was Designed by Gensler inc. 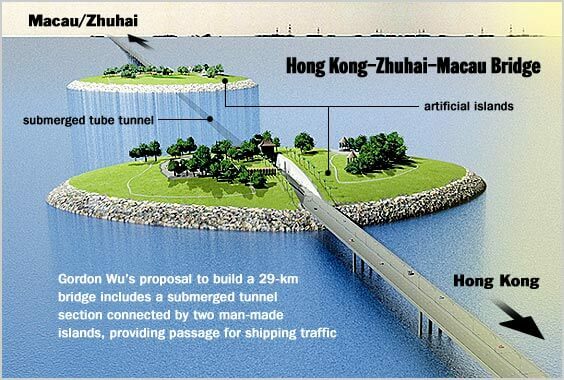 The Hong Kong–Zhuhai–Macao Bridge is an ongoing construction project which consist of a series of bridges and tunnels that will connect Hong Kong, Macau and Zhuhai, three major cities on the Pearl River Delta in East Asia. The proposed 50 km link is expected to cost US$10.7 billion. With its length, it would become one of the landmarks within the area. The longest bridge section will be 29.6 km long and will include three cable-stayed spans between 280 m (920 ft) and 460 m (1,510 ft). In 2016, the last bridge tower was erected and the last straighted-element of the 4860 meter long immersed tunnel was installed. The project is is due to open in December 2017.. 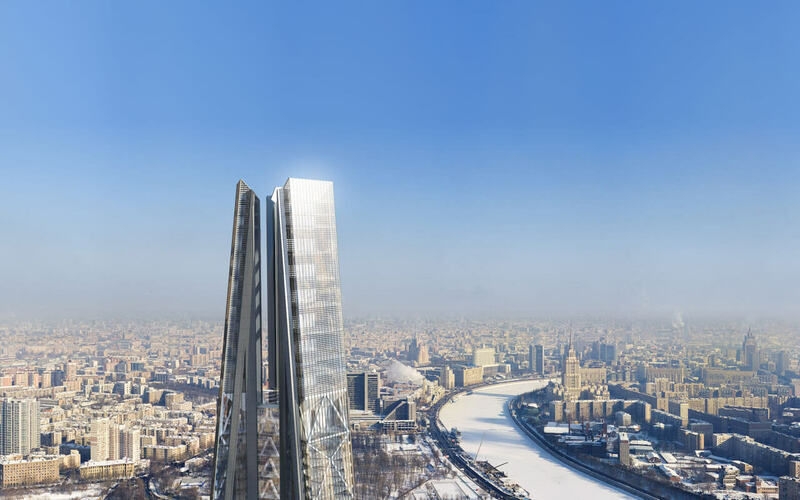 The Russia Tower Located in Moscow, is a skyscraper planned for Moscow International Business Centre of Moscow, Russia. Construction began in September 2007 and was expected to be completed around 2016. The tower will stand 1,180 ft and would contain 118 floors, 101 elevators, and underground parking that can accommodate 3,680 cars. The buildings capacity is 30,000, the base of the building will be retail shops. The maximum people capacity of the building was projected to be around 30,000. It was begun but eventually was cancelled due to the credit crisis of 2008.